The great congregation of God has been diminished by what are smaller groups of those who are part of a congregation of a denomination or a non denominational building. Scripture teaches us to go into all the world and preach the word, and it is the world that is the great congregation as Jesus was foretold of to preach of righteousness and to declare the salvation offered to all. (Psalm 40:7-11). Then said I, Lo, I come: in the volume of the book it is written of me, I delight to do thy will, O my God: yea, thy law is within my heart. I have preached righteousness in the great congregation: lo, I have not refrained my lips, O Lord, thou knowest. I have not hid thy righteousness within my heart; I have declared thy faithfulness and thy salvation: I have not concealed thy lovingkindness and thy truth from the great congregation.Withhold not thou thy tender mercies from me, O Lord: let thy lovingkindness and thy truth continually preserve me. What a most powerful message Jesus taught just before He was received into heaven to sit at the right hand of God! (Mark 16:15-20). And he said unto them, Go ye into all the world, and preach the gospel to every creature. He that believeth and is baptized shall be saved; but he that believeth not shall be damned. And these signs shall follow them that believe; In my name shall they cast out devils; they shall speak with new tongues; They shall take up serpents; and if they drink any deadly thing, it shall not hurt them; they shall lay hands on the sick, and they shall recover. So then after the Lord had spoken unto them, he was received up into heaven, and sat on the right hand of God. And they went forth, and preached every where, the Lord working with them, and confirming the word with signs following. Amen. The day is coming when Christ will return to rule His government of righteousness, how marvelous it will be to not contend with evil ever again! For all who love and fear the Lord will be who remains to serve and praise the Lord. 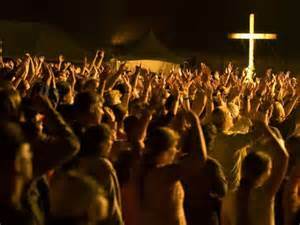 (Psalm 22:22-28) I will declare thy name unto my brethren: in the midst of the congregation will I praise thee. Ye that fear the Lord, praise him; all ye the seed of Jacob, glorify him; and fear him, all ye the seed of Israel. For he hath not despised nor abhorred the affliction of the afflicted; neither hath he hid his face from him; but when he cried unto him, he heard. My praise shall be of thee in the great congregation: I will pay my vows before them that fear him. The meek shall eat and be satisfied: they shall praise the Lord that seek him: your heart shall live for ever. All the ends of the world shall remember and turn unto the Lord: and all the kindreds of the nations shall worship before thee. For the kingdom is the Lord’s: and he is the governor among the nations…… (Isaiah 9:6-8).